Employees maintain fears around continuous improvement (CI). We, as managers and change leaders, need to alleviate these if we want full engagement from our teams. One of the main fears that I encounter, people feel as though their ideas won't be good enough. Worse than this, people fear they cannot contribute to the continuous improvement process because they think they can't convert their issues into tangible improvement ideas. The people in your business see a whole range of issues and opportunities that you just won't see. Things right in front of your face pass you by, but they won't for others. Some people naturally engage with CI, some find it harder. For those who find it harder, the CCC result approach is a wonderfully simple method to combat this problem. You list all of your concerns about a particular process, product or challenge that you have in your business. For each concern you then establish the (root) cause. For each cause you determine an effective correction or countermeasure, the action you will take to permanently remove the concern. The beauty of the CCC result approach, it structures your thinking towards a solution. You can do it in a facilitated group to create an action plan that is meaningful to everyone who participates. You don't need to bring solutions to the party, just bring the concerns and let the CCC approach take over. 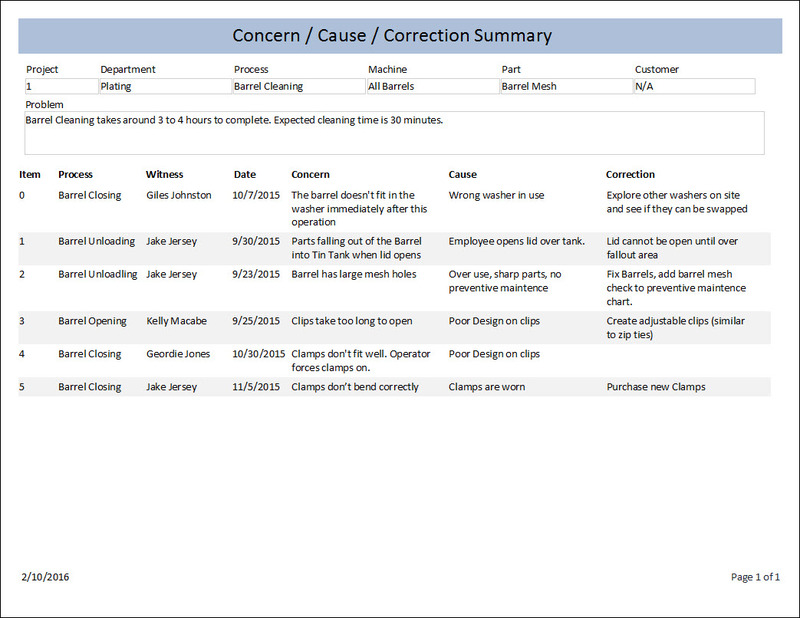 As a team you can convert many issues / concerns into a practical action plan. If you have people on your team who have the fears I mentioned at the start of this article then you can use CCC to help them gain confidence and feel properly engaged with CI. "Don't bring me problems, bring me solutions!". Most of us heard this cliché at one point or another in our careers. You can understand the frustrations of the person who says it; they have a crushing workload, poor performance that needs to be micro-managed and a team that complains. A team that pro-actively use their complaints (concerns) to generate meaningful actions. A team that delivers the required performance because CI genuinely works for them. A workload that alleviates and becomes manageable. I've been there, and countless others have too. When you engage your team's minds and skills in a structured way you have the potential for big changes from little effort. CCC is an invaluable way of thinking, as well as a tool. Our StreamLiner software uses CCC as one of its primary tools to engage teams in CI. 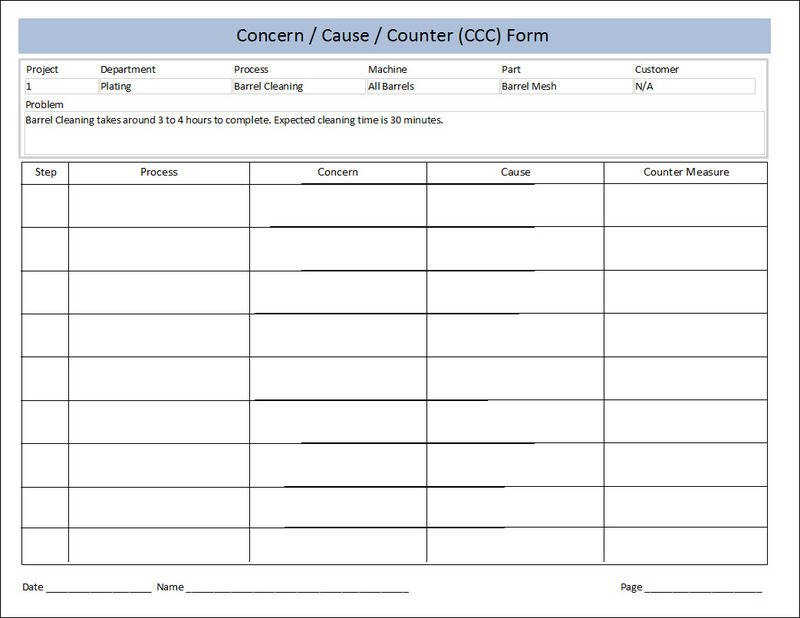 Within StreamLiner you can print a blank CCC template for use with your team. Use the template to implement the CCC process. Take the template to the heart of the issues (specific troubled location) and team meetings. Input the CCC results back into the StreamLiner software. 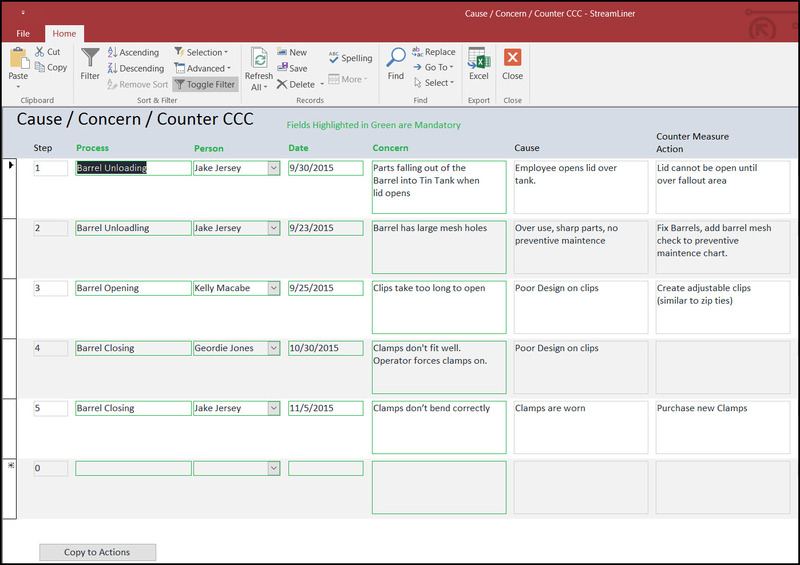 Then you can quickly convert your counter measures into prioritized actions, and finally with StreamLiner, managed these through to completion. CCC is only one of the tools to help you capture improvement opportunities and manage change built within StreamLiner, but it is a powerful one. If you struggle with the engagement of your team with CI, and believe they need structure to help them convert their thoughts and concerns into proper actions then try out the CCC approach in your business. And, if you want to get serious about managing the CI opportunities in your business, so that you realize the benefits that CI can bring, take a look at our StreamLiner software and see what it can do for you.